Discussion in 'Scripting' started by GodHand, Jan 5, 2019. New-Shortcut is an advanced PowerShell function that allows one to easily create shortcuts from any application. 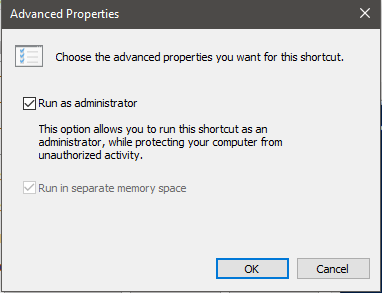 These shortcuts can be elevated (Run as Administrator) or not. Once created, the function outputs a custom object detailing the newly created shortcut with its set parameters. Elevation can be added to any created shortcut by using the -Elevated switch. Elevation is enabled by using the .NET classes ReadAllBytes and WriteAllBytes to change the appropriate offset bit and not the terribly inefficient (and extremely slow) FileStream and BinaryWriter which use internal buffers. Easily create shortcuts from any application. Creates shorcuts that can be elevated or not from any application, outputting a custom PowerShell object detailing the newly created shortcut and any parameters set to it. The full path to the target application the shortcut will point to. The full path to the directory where the shortcut will be created. 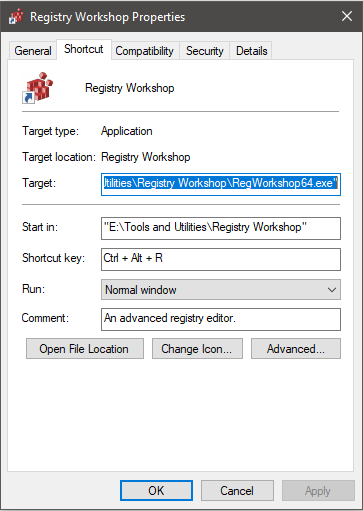 If no output directory is supplied, the shortcut will be created in the same location as the target application. The name of the shortcut. By default the target application name is used for the shortcut name. A comment describing the details of the shortcut. Any special arguments the shortcut will pass to the target application. The full path of the directory the target application uses during execution. A hotkey combination that can be used to execute the shortcut. The windows style of the target application - Normal, Maximized or Minimized. Sets the shortcut to run with administrative privileges.